I am a Libra; a writer; an ostomate; a hat person; a cat person; a dog lover; an adventurer; a film fanatic; a theatre goer; a moderate; a Southerner; a homeowner; a sailor; and a grande café mocha, no whip. We all have our labels that define us and make up our personality. It’s who we are and what we are all about. Lately I’ve been encouraged to think of myself in terms of a brand these days by my publicist. So now, not only am I just Tracy Lea Carnes; I’m Tracy Lea Carnes, author, playwright, humorist and speaker. I’m a product now with something to sell – me. Well, sort of. You can’t buy me on ebay; trade me on the open market; or purchase me in bulk at Costco or Sam’s Club. But you can purchase my book on amazon.com; buy a ticket to my original stage play; or hire me to speak at your convention. I’m not just a person any more – I actually am a product. That means being the best Tracy Lea Carnes I can be! 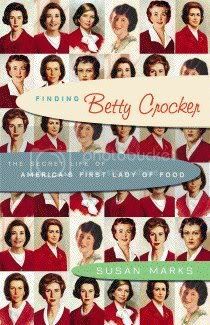 So I got to thinking about that in today’s atmosphere of people as actual brands – Britney Spears is a product – she is her music; Donald Trump is a product – he is his own building; Paris Hilton is a product – she is her own party; and Betty Crocker – Well, she is her own cake. One little misstep and you can tarnish your product. Just look at Michael Phelps. You may not think of yourself as a product but in actuality, you are. Whether you like it or not, we’re all brands and products. You sell your services to your employer; you run for PTA president; you are the head of your family; a baton twirler in the marching band – whatever. That means putting your best self forward above and beyond just your simple label of nurse; majorette; copy clerk; waitress; CEO; teacher; mother; daughter; father; son; athlete; poker player; master carpenter; venti low fat caramel macchiato… You are your own brand! I went down to my favorite little cafe last night, where I go all the time, to eat, drink, hang out with my favorite artistic friends and wax poetic about all things artsy, cultural and esoteric. I feel at home there, in my element, comfortable and secure. Occasionally I sit on the patio and write before my friends arrive. And it occurred to me that this café has become my creative hub. So I got to thinking that there is a long romantic history of the writer hanging out at cafes and sipping their favorite cocktails and trying to tap the muse. While working on Road to Glory in Hollywood, William Faulkner drank and actually mixed his own beloved Mint Juleps at the Musso & Frank Grill and at least kept the taste of the South with him while he was out there in crazy La La Land. Earnest Hemmingway; however, drank mojitos at La Bodeguita de Medio in Havana, Cuba and famously scrawled on their walls, ""Mi mojito en La Bodeguita, mi daiquiri en El Floridita!" And I'm not exactly sure what O. Henry drank, but I do know that he wrote the classic Gift of the Magi right there in New York's famous Pete's Tavern, a place I often go to while I'm in the Big Apple, too. Somerset Maugham once said that if you sat in the Café de la Paix in Paris long enough, everyone would pass by. At least for Shreveport and my little world, that place happens to be The Columbia Café, at the corner of King's & Creswell, where you can find me out on the patio, sipping my preferred glass of red wine, and watching the traffic scream down King's Highway as if it were the Brick Yard or catching bits and pieces of Wu Tang Clan blaring from a car stereo stopped at the light. If you sit there long enough, you might even be a primary witness to a traffic accident at the intersection. Ok, so maybe it's not nearly as romantic as Paris or Havana but for me here in Shreveport, it's where I can actually feel the heartbeat of my city and observe it's rhythm. This is my very own writer's café and it's where I go to hang out with my muse! So I'm wondering, where is it that you all go to tap your muse or wax poetic, even if you aren't exactly a writer? Everyone's told - watch for the signs! Signs from God? 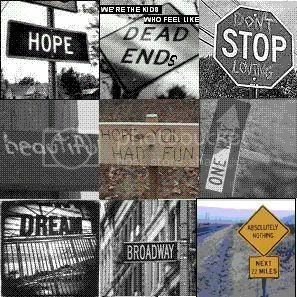 Street signs? Semifore? What? Where are these signs and why should I care so much? Maybe I'm not exactly paying attention. I did, after all, forget to take my ADD meds this morning. But suddenly, as if the universe is calling out to me, I'm actually seeing signs - signs in the oddest places, too, like movies, emails from friends, and advertisements in magazines. I know, sounds a little "Beautiful Mind," huh? So not trying to be like John F. Nash with strings and articles collaged across my office, I have at least begun paying attention to these signs. The first was in an email from a friend encouraging me to enter a playwriting contest - I did and I won. Recently I watched a movie about a writer trying to find her voice. She wrote a short story and sent it in to Paris Review, a literary magazine. It hit me, I should write a short story and submit. So I've written a short story and I am submitting. I hardly ever buy an Oxford American magazine but I did this past weekend and there was an ad for a literary award for Southern authors. I didn't take much notice of it at first. But when I threw down the magazine, it landed opened on that page where the ad was located. And it hit me... The universe is literarly screaming at me to write! It is cheering me on, encouraging me, and giving me hope. So pay attention to the signs out there. Maybe you're not a writer like me but perhaps every now and then we should remove the ear phones from our ipods or quit secretly texting at stop lights long enough to hear and see whatever signs might be specifically aimed at us to follow. Who knows, they might even change your life! 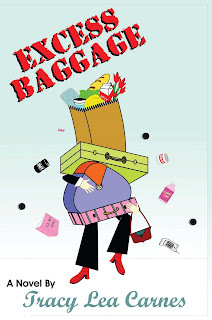 Tracy Lea Carnes is the author of the novel EXCESS BAGGAGE, a humorous yet inspiring glimpse of Kelly, a careerless thirty year old woman, who moves back home to her tragically dependent mother after the death of her overbearing father in order to rediscover herself. Tracy was also a finalist in the Chris Moore Challenge during the first season of HBO’s Project Greenlight with a 60 second comedy spoof she wrote and produced. Most recently, her political satire has appeared nationally in The Huffington Post. Currently, she is working on a new stageplay.